Join Owenhouse Ace Hardware at our West store on Huffine Lane for an afternoon of bread baking techniques. This introductory class will be held Saturday, February 17th at 2:00 pm in our basement conference room. 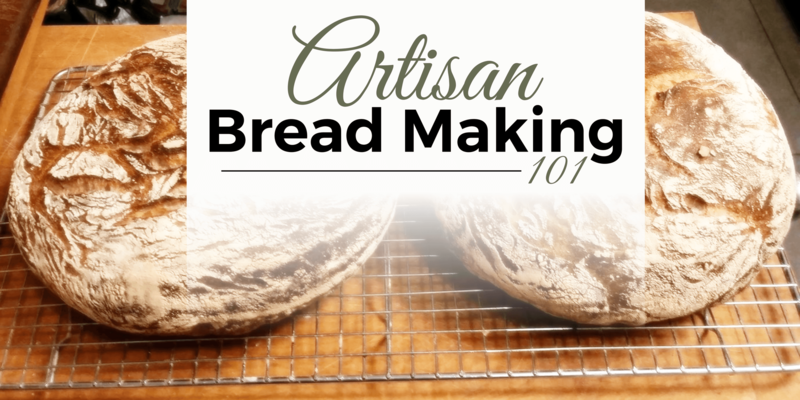 Learn the fundamental steps required for making artisan-style bread at home! Owenhouse employee Maxwell Yanof will start with a short overview of the process, tools, and ingredients. Participants will also be shown the major steps, as well as the reasoning and techniques in order to make quality bread in your own kitchen. Maxwell will talk about flour and its role in the recipe, along with how water and its percentage by weight influence the type of bread made. You’ll also learn the why and how of the uses for salt and yeast, and what yeast does to the recipe. A brief argument for weighing instead of measuring will be made and why instant yeast is superior, in most cases, to standard dry yeast products. Lastly, you’ll receive a walk-through of weighing and mixing ingredients (to knead or not to knead – that is the question), bulk fermentation, bench fermentation/proofing, shaping, final proofing, and baking. Tubs of dough will be on hand to demonstrate the various phases the dough passes through before it is ready to be shaped and baked. Participants will be able to see and feel the dough throughout the process, which should give you the confidence to take these skills home and enjoy bread making success! The entire process will be marked-out at a leisurely pace allowing questions and comments. Throughout the demonstration one will follow the magical process of turning the simple ingredients of flour, water, salt, and yeast into a flavorful, textured, and complex treat that is as wonderful to eat as it is to behold. Space is limited during this FREE class so please RSVP today! If you’ve already taken this class but want to grow your bread making skills even more, please check out our Advanced Bread Making Class on Thursday, March 1st.